On Afternoon New Music this Monday, May 19th, composers from the Association for the Promotion of New Music will join us for a live interview and discussion about their work in the upcoming "New Voices" concert on Friday, May 23rd, featuring Ensemble Pi. APNM was founded in 1975 by Jacques-Louis Monod as a community of American composers with the purpose of sharing common musical values and creating a network of professional support. APNM fosters the compositional creativity of its members by offering performances of their music, publication services, and promotional visibility. 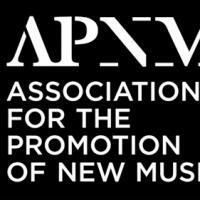 APNM offers publishing services through the Subito Music Corp. APNM composers are published, but fully maintain their copyright, keeping half of their royalties, and are free from any contractual obligations. APNM promotes its member catalog through its website. APNM presents concerts of members' music at New York City venues at least twice per year, partnering with virtuosic performers and ensembles including members of Argento and Ensemble Pi. APNM holds an annual Composition Call for Scores Contest, seeking public submissions, particularly from emerging composers. Winners are rewarded with performance and membership.